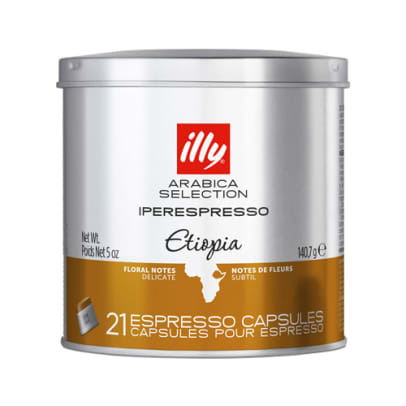 Ethiopia coffee capsules to Illy is part of the series Monorabica. 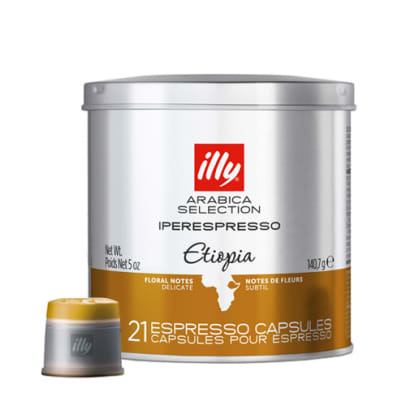 Ethiopia coffee is made at arabica beans exclusively from Ethiopia. The beans are grown in Yirgacheffe region and is an arabica coffee with a delicate and seductive flavour. There is a medium coffee with gentle flavour notes of jasmine and citrus. 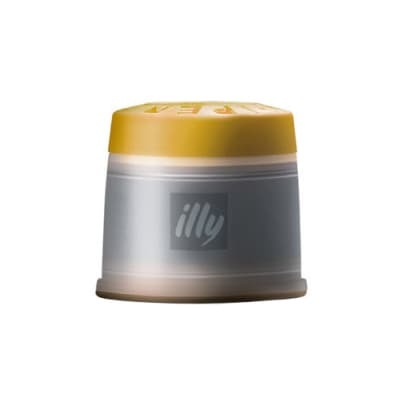 Try the light and elegant cup and enjoy a perfect blend of bitter and sweet fruit notes. 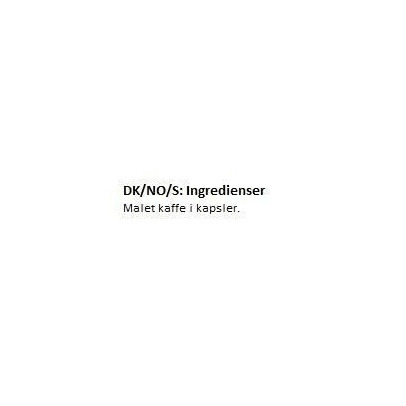 Sehr vollmundiger Geschmack, für uns ein sehr guter Kaffee !